Super fast shipper! Lowest price around! PB2 Powdered Peanut Butter by Bell Plantation tastes delicious. 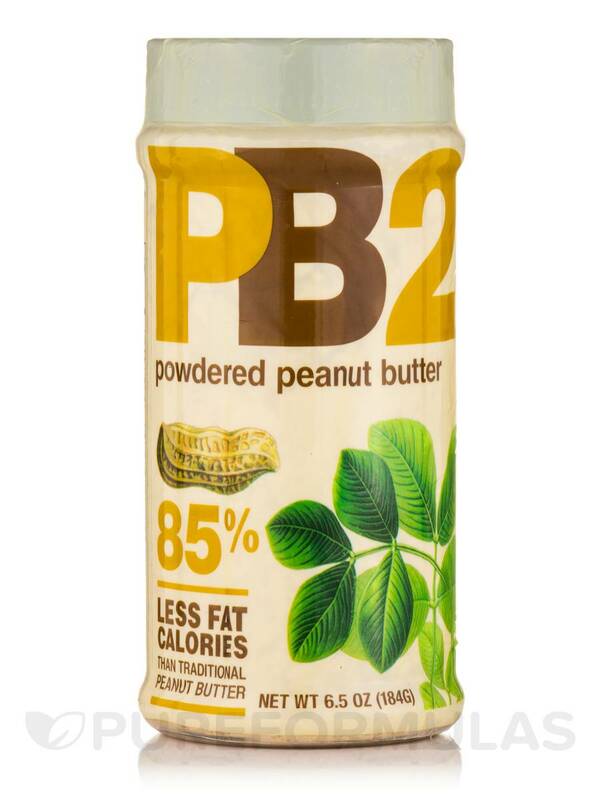 PB2 Powdered Peanut Butter by Bell Plantations gives a nice extra flavor to my smoothies. Your traditional peanut butter: delicious‚ and healthy too. Many can be turned off by it though- its fat and calorie content are remarkably high‚ due to its nutritional compounds. But‚ that's no reason to give it up‚ it just means you need an alternate situation. In times like this‚ you don't need peanut butter- you need peanut‚ better. PB2 Powdered Peanut Butter is unlike any peanut butter you've probably ever had. When was the last time someone told to 'just add water' to your peanut butter'? But it's true. Mixing two tablespoons of PB2 with 1 tablespoon of water‚ plus stirring‚ will create a tasty‚ healthy peanut butter mixture. It's all thanks to the PB2 method‚ which involves roasting the peanuts‚ then pressing them to rid them of fat and oil content. 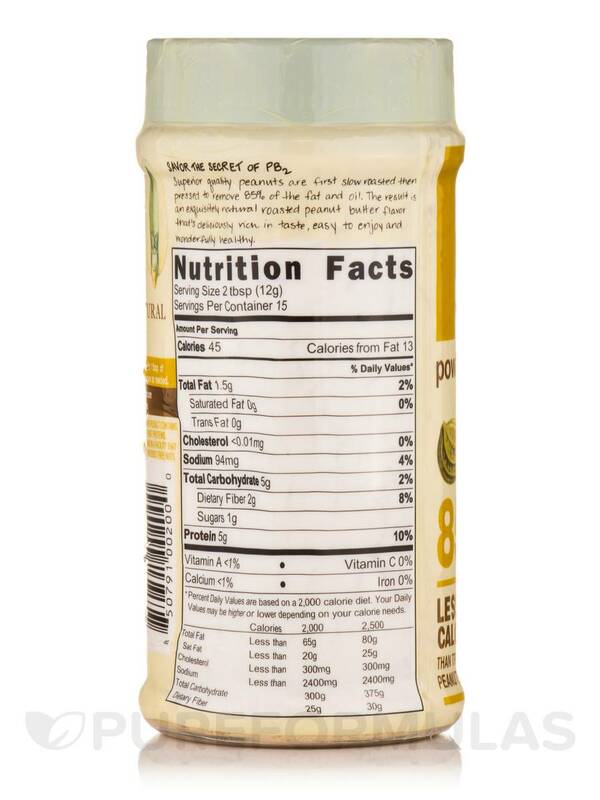 When all has been said and done‚ a fine powder is left over that contains 85% less fat calories than the traditional peanut butter. Trust PureFormulas to supply all the PB2 Powdered Peanut Butter to you‚ so you can enjoy its taste and be versatile with it in your favorite recipes. We offer free shipping and low prices on all products‚ including Bell Plantation and PB2. This product contains peanut proteins. Made in a facility that processes tree nuts. Kosher / GMO-Free / Gluten-Free. Mix 2 tablespoons of PB2 with 1 tablespoon of water and stir until smooth. Prepare as needed. Allergen Caution: This product contains peanut proteins. Made in a facility that processes tree nuts. I put PB2 Powdered Peanut Butter by Bell Plantation on everything!!! Yogurt, cereal, oatmeal, ice cream, milk, fruit, and straight off the spoon! I go through a 1lb jar in less than a month! Need a huge tub of it- like protein powder tub size!! I wouldn't have believed that a powdered peanut butter was this good. I read the other reviews and decided to try PB2 Powdered Peanut Butter by Bell Plantation. It is wonderful. 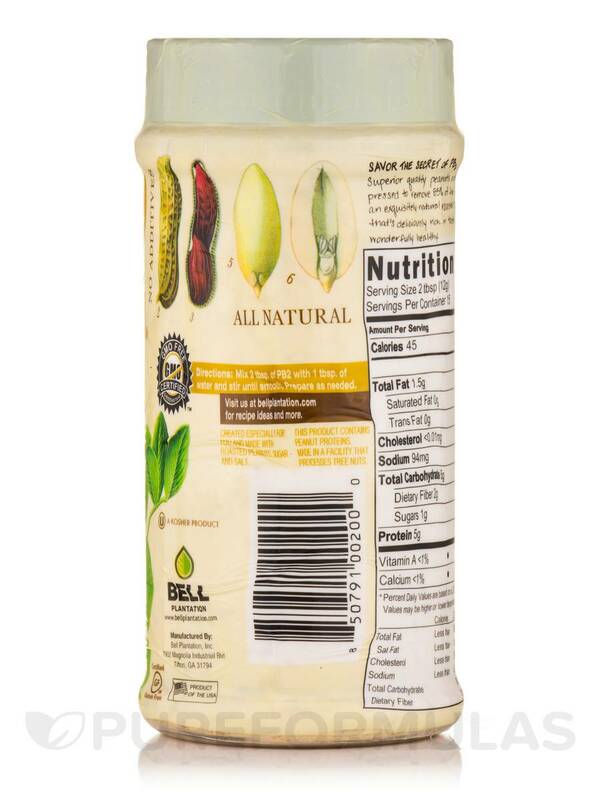 I use it in protein drinks, Thai sauces and just plain dipping sauce for fruit or veggies. I was totally amazed at this product! I don't think I will ever buy a regular jar of peanut butter again. So worth trying it! You can use it for anything and not concern yourself with the sugar and fat from the jar brands. I'm in love with PB2 Powdered Peanut Butter by Bell Plantation! I love peanut butter but it's too high in fat and calories so this has been a great solution for me for peanut butter without the fat or calories but still some protein. I highly recommend it. Trying to find foods that are healthy and taste good many times is hard to do. 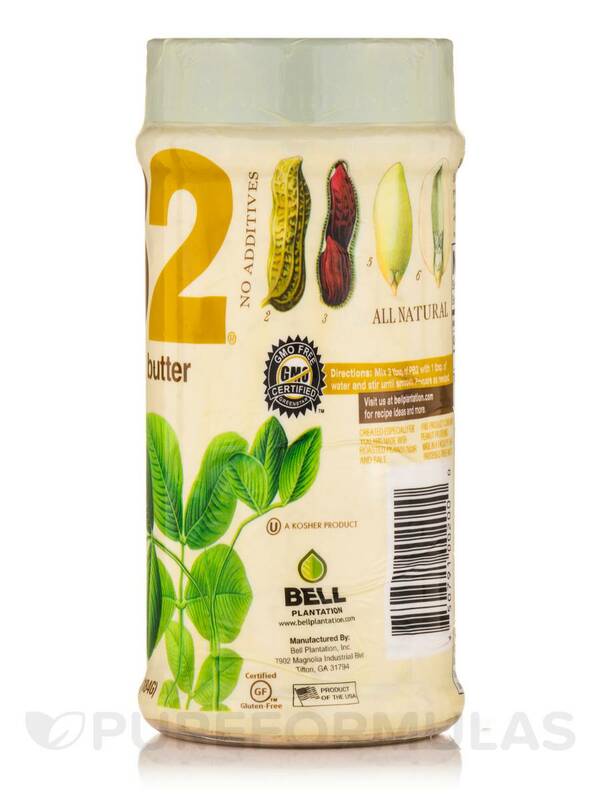 So in my attempt to find some lite/healthier alternatives to my favorite foods I came across PB2 Powdered Peanut Butter by Bell Plantation as an option for peanut butter! Reviews were very positive...but sometimes they can also be misleading...but I took a chance with this product. WOW...I was totally surprised how much this tastes exactly like peanut butter!!! I add this powder to my chocolate whey protein shakes and it's very, very good! I got lucky with this find...will always use as my peanut butter option! Tastes great! Easy to use as powder or spread! Perfect substitute for peanut butter! 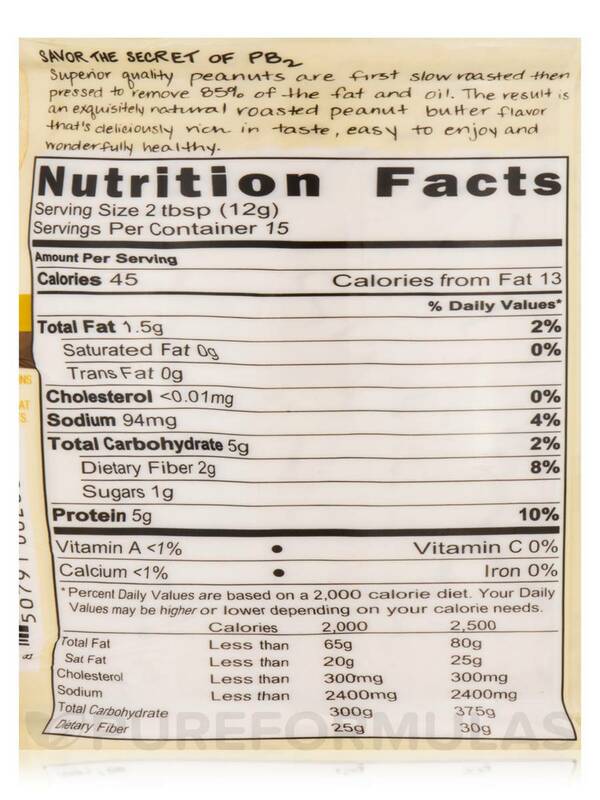 Love the fact PB2 Powdered Peanut Butter by Bell Plantation, is lower in fat. Great additive in deserts and baking. Wonderful for thickness in deserts that you are using almond milk with. Needs a bigger jar. LOL! Great taste without the fat! I was hesitant to try PB2 Powdered Peanut Butter by Bell Plantation at first but ended up loving it. Chocolate is definitely another favorite I like to eat with strawberries on a sandwich! Can make as thick or thin as you like, LOW fat without sacrificing the flavor of real peanut butter! The flavor is perfect, the consistency is ideal! I put PB2 Powdered Peanut Butter by Bell Plantation on my reorder list so I never have to suffer running out! I use it for smoothies, pancakes, and in cooking dishes like stir fry it is perfect, especially since it will not burn or get globbed up like regular butters. I like it in smoothies! I've never been a big peanut butter fan but decided to give PB2 Powdered Peanut Butter by Bell Plantation a try. It was surprisingly good and made smoothies taste more appealing. This has now opened up more things I can enjoy being on a strict diet. Amazing!! !